Everyone deserves a great bike. Yet craftsmanship is often reserved for the Gucci-grade race bikes — and those who ride them. Let’s reverse that trend. We believe every bike should combine functionality with eye-catching design in equal measures so your personal style is reflected in what you ride, wherever you ride it. Our bikes complement and enhance your look, just like a pair of snappy shoes or an elegant coat. And just like a great-fitting garment, they feature thoughtful details that make them perform beautifully too. Meet the Azabu. Made in the USA, one-of-a-kind concept bike, built to our custom specifications down to the last detail. You simply won’t find another city bike like it. To create it, we partnered with R+E Cycles, a Seattle-based frame-building shop with more than 44 years of experience. Named for the famed upscale Japanese district known for its unique style, eclectic art, high-end shopping, and lively restaurant and bar scene, the Azabu is the urbanite’s most prized machine and a collector’s dream. The Azabu is put together with hand-worked welds and beautiful custom lugs featuring a 3D-printed Raleigh Heron wing design. 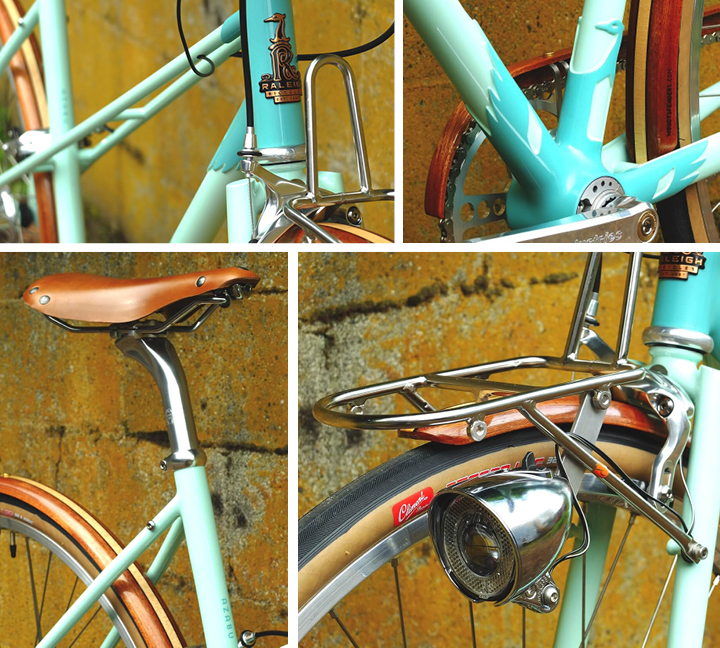 The hand-crafted wood chain guard and fenders along with an integrated handlebar and stem enhance its streamlined look. But it’s not just pretty. The Shimano Di2 one-button electric shifters transition smoothly through 11 speeds, lending high-tech sophistication to this moving work of art. This bike is one-of-a-kind, sure — but it also inspired the new Carlton Collection. 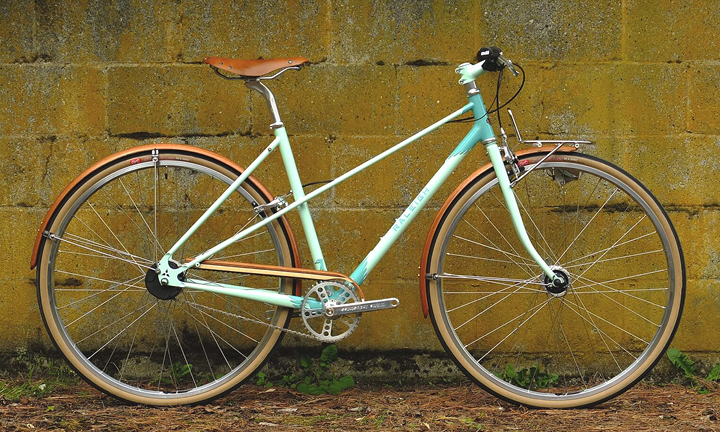 Our designers used the Azabu’s stylish twin top tube frame as a jumping-off point for the Carlton Mixte frame. Maintaining the streamlined and stylish look of the Azabu, the Carlton Collection has two drivetrain options: a simple Shimano eight-speed or a modest single-speed with flip-flop rear hub, allowing fixie or free-hub capabilities. The Carlton Collection has a sleek integrated handlebar and stem and comes with very handy and stylish front racks with wood inlay featuring a burnished Raleigh Heron insignia. Reflective decaling on the downtube adds visibility as well as a modern look. The Carlton Collection is available in a variety of beautiful colors. Ultimately, we believe a bike is not just a tool—it’s an extension of who you are. Whether you are a daily commuter, endurance rider, bar hopper, or casual cruiser, there’s a Raleigh that fits your life and accentuates your unique style.